With a new album out now and a live tour taking in Think Tank? 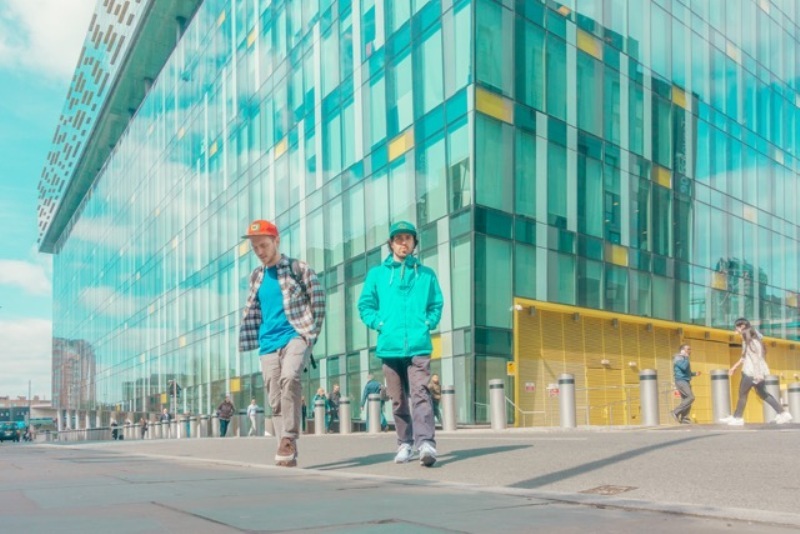 in Newcastle on Wednesday 11th October, we caught up with tenacious hip-hop duo Too Many T’s to find out their top 5 festivals their top five festivals they’ve played at. It’s moved location now but it was the 1st festival we ever played and the whole experience just blew us away. For starters you had to catch a ferry to get there which was like going on holiday and then the setting was stunning at Robin Hill Country Park. The owner Rob Da Bank has supported us since early days and made us part of the family there. One year we warmed up for Wu Tang Clan in front of 30000+ people and this year we played on the main stage. The 1st year we got chucked off stage for smoking on stage with a guy dressed up as a spider! Based on a former military airport in Germany many of the venues are made out of old airplane hangers…which make great venues. There’s a real antiestablishment, countercultural attitude but it is one of the friendliest festivals we’ve been too, such an amazing bunch of people there, and there’s a lot! They really go to town with the production – mechanical moving stages, beautiful installations and sound systems to feed the biggest bass hungry ravers. The happiest place on earth and arguably our favourite festival of them all. So much love, joy and positivity – it’s a place to play, to refresh, make friends for life and really lose yourself in its magic. We had one of our favourite gigs here this year as well in the Phantom Laundry venue. A new one for us this year, over in Northern Ireland. A real family festival with such an incredible atmosphere and full of sunflowers. All the venues had such a good vibe and the owner of the festival was a bonafide legend! Leon lost his phone there but somehow the organisers found it, found him and posted it back to London. The production level at this festival is unlike anything we’ve ever seen. The whole site is turned into districts with different themes and all the venues are dressed up to look like actual buildings on actual streets. It is a boiling pot of effervescence, theatre, fantasy and bass. You really need to see it to believe it.